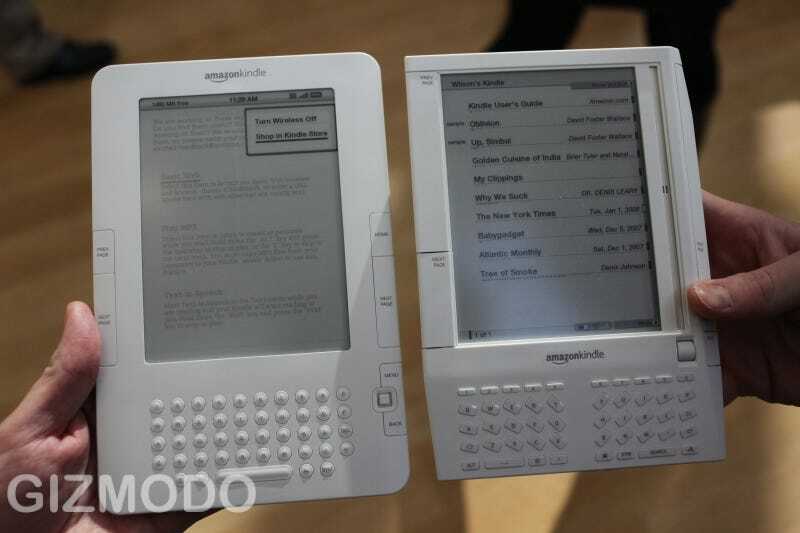 How does the new Amazon Kindle stack up size-wise when compared to the original version? Well, the first Kindle measured 7.5" x 5.3" x 0.7" while Kindle 2 clocks in at 8" x 5.3" x 0.36". Right off the bat, the second-gen Kindle is significantly thinner than the original. At only .36-inches, it is nearly half the size—and around 25% thinner than an iPhone. It's also half-an-inch taller (the screen is still 6") but it weighs in at 10.2 ounces—just a shade lighter than the 10.3 ounce original.